The castle was the stronghold of the MacSweeney clan for about 200 years. Spanish Armada survivors were believed to be housed here for a time by the clan. Visitors can enjoy guided tours of the grounds and tower house. Amenities: There is a café nearby. Wheelchair access is limited due to rough terrain round the castle ruin. Opening hours and costs: Admission to the grounds is FREE and guided tours cost €3 per person over 12 years. The site is open daily from 9am-6pm. The fort here was an important defensive site throughout history. The museum today holds a large collection of artillery guns and military memorabilia. Visitors can enjoy scenic walks and see habitats of various wildlife. Amenities: There is a café and shop on site. There is limited wheelchair access with certain paths being off-limits. Opening hours and costs: Open daily from 10.30am-6pm. Prices for adults are €7, seniors/children €5, family €15 and groups of 10 per person €3. This living history museum contains a collection of several small cottage replicas, known as a clachan. Visitors can experience first hand the daily lives of rural people from the 18th to 20th centuries and their key relationship with craft, dance and fishing. Amenities: There is a craft shop and tea room on site, toilets and parking facilities. The site has full wheelchair access. Opening hours and costs: The museum is open daily from 10am-6pm. Tours cost €6 per adult, €5 for students/seniors, family €15, groups over 11 €5.50 and children over seven €2.50. Within the 16,000-acre park is the 19th century castle designed by John Townsend Trench and built between 1867 and 1873. There is a guided tour available of the well-preserved castle, as well as a visitors’ centre with an audio-visual display on site. There are walking trails in the park as well as cycling and fishing when in season. Amenities: There are tea rooms and restaurant on site, toilets and a car park. Wheelchair users can access the ground floor of the castle and there is a wheelchair friendly shuttle bus. Opening hours and costs: The visitors centre is open daily from 9.15am-5.30pm. Access to the park is FREE but castle tours cost €7 per adult, €5 for students/seniors/children over six and €15 for a family. Built in the 15th century by the chieftain O’Donnell, the castle is located beside the river Eske. Visitors can enjoy a guided tour of the castle and view luxurious rugs and tapestries there while hearing about the family history. Amenities: There is access to wheelchair users to the ground floor only and there is a restaurant as well as toilet facilities on site. Opening hours and costs: The castle is open daily from 10am-6pm and entry costs €5 for adults, €4 for seniors/groups, €3 for children/students and €13 per family. Thanks to Donegal County Council heritage office for recommendations. LATER: This evening’s we’ll bring you the Top 5 must-sees in Dun Laoghaire/Rathdown, while tomorrow it will be the turn of Final, Dublin and Galway. Email “Your summer in Ireland: 5 must-see sites in Donegal”. 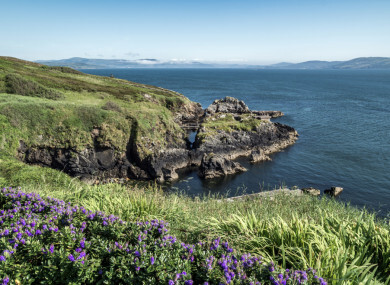 Feedback on “Your summer in Ireland: 5 must-see sites in Donegal”.